The wedding bouquet is a very special part of the bride’s outfit. It can make any dress look good if it is well chosen. You have to pay very much attention when you go shopping for the wedding bouquet. As a bride you have to make sure that everything is perfect and that you will look amazing in the most important day of your life. 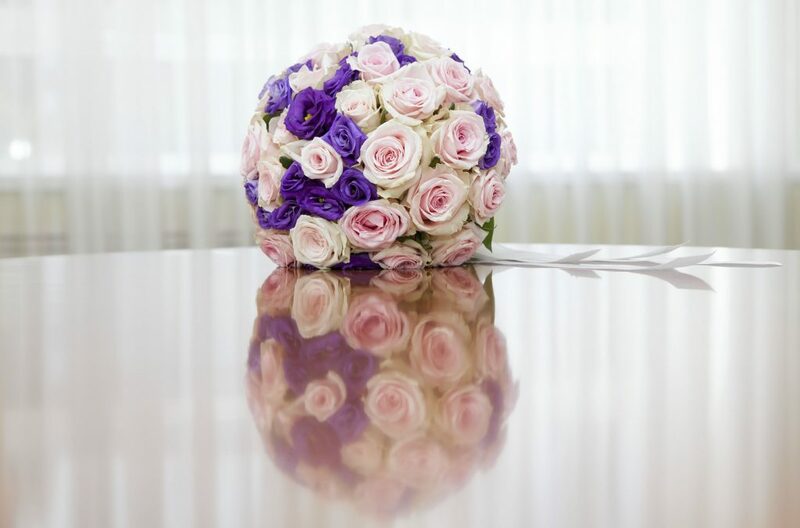 Try to choose a wedding bouquet that makes you feel comfortable and beautiful. The wedding bouquet is not just an accessory. It is the main character in the wedding tradition called the throwing of the bouquet. What does that tradition assume? The bride stays in the middle of the room while the single ladies that are present at the wedding go and sit behind her. The bride throws the bouquet in her back and the lady that catches the bouquet is supposed to be the next one who gets married. The best bouquet for this tradition is the round bouquet. It is easy to throw and easy to catch. If you decide to have a cascading bouquet or a wrist one it can be difficult to throw it. In this case you can order a special bouquet, a smaller one, identical with your bouquet when it comes about colors and flowers and you can use it for the throwing of the bouquet. This way you can also keep your wedding bouquet untouched during the wedding and after that too. A wedding has a lot of traditions. Maybe one of the most important ones is the throwing of the bouquet. If you want to make sure that your wedding is perfect then you must take care that this ritual happens at your wedding too. This way you and your female guests will certainly have a nice moment that both of you are going to enjoy very much. Your wedding day is a special day and you have to shine. Make sure that you choose the most suitable dress for your body and the best wedding bouquet for your personality and tastes. Try not to neglect any detail and this way you will have a perfect wedding. Have fun at your wedding and happy marriage!